Lakeith Stanfield Rumored For Lead Role In CANDYMAN Reboot | Birth.Movies.Death. The prospect of a new Candyman movie produced by Jordan Peele is an irresistible one. A new Candyman movie directed by a woman – Nia DaCosta – is twice as exciting. Throw Lakeith Stanfield's name into the mix, and I'm over here wondering how I can buy 80 tickets to this thing, like, yesterday. That may very well be the case, according to the folks over at Super Bro Movies, who are apparently usually reliable in the scoop department. Per their source, Stanfield is in talks to star in the upcoming Candyman reboot, which is being described as more of a "spiritual sequel." Stanfield wouldn't be playing the eponymous role made famous by Tony Todd. 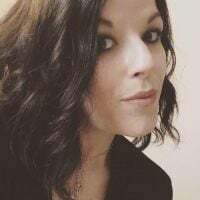 Instead, the Sorry to Bother You star would play the lead protagonist, "a socially pronounced artist in Chicago who researches the urban legend of Candyman" – similar to the Virginia Madsen character, Helen, in the original 1992 film. Also similar: As he digs deeper into the Candyman legend, multiple people close to him are brutally murdered. This is, of course, a big ol' rumor for the time being, but it gives us quite a bit to speculate about! We already knew that DaCosta, who made her feature debut with the crime drama Little Woods (now playing at Sundance), would be putting a spin on the 1992 narrative, which followed a white grad student (Madsen) as she investigated the urban legend of Candyman (Todd) – a terrifying figure with a hook for a hand, said to brutally murder those who speak his name in a mirror. The 1992 film was largely set around the infamous Cabrini-Green housing project in Chicago, which carried certain social and cultural baggage and added to Candyman's tragic, haunted tone. Casting Stanfield in the Madsen role is interesting, and indicates a few possibilities – all of which offer different and potentially fascinating implications: The first and most obvious being that Candyman could instead be a white woman (can you even imagine). If this reporting is accurate, Stanfield's character is named Anthony, which just so happens to be the name of the baby Helen rescued from the fire at the end of the original Candyman. So maybe Candyman is a Candy-woman. Maybe, as seen at the end of the first film, Helen has become the new Candyman. Or maybe Candyman's race and gender haven't changed. It may be relevant to note that the relationship between Helen and Candyman in the original film was romantic in nature. As the story behind the legend goes, Candyman was a talented and respected artist who lived in "polite society" until he fell in love with a white woman and fathered a child with her in the late 19th century. When her father found out, Candyman was attacked by a lynch mob, which cut off the hand he used to paint his portraits and covered him in honey from a nearby apiary. He was subsequently stung to death by bees. If the rumor is true, then I have to imagine that Stanfield playing a prominent artist is either a role-reversal or gives him a meaningful connection to Candyman. 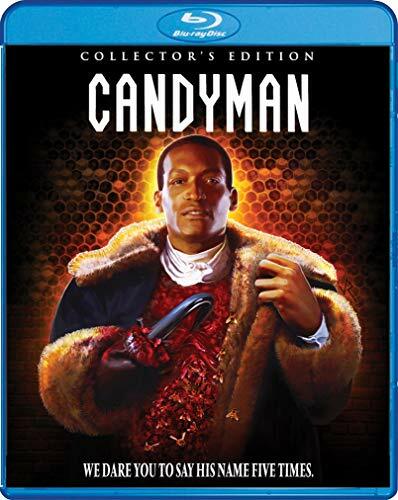 It's also possible – and would be super interesting – that Candyman is/was actually a gay man, which would add another tragic element to his backstory. In any case, it would be supremely awesome to see Stanfield star in this Candyman reboot/sequel. Honestly, I'm just dying to see him in another horror movie after his exceptional performance in Get Out. With a release date set for June 12, 2020, we're sure to learn a heck of a lot more about Nia DaCosta's Candyman in the coming months. In the meantime, feel free to continue speculating below.